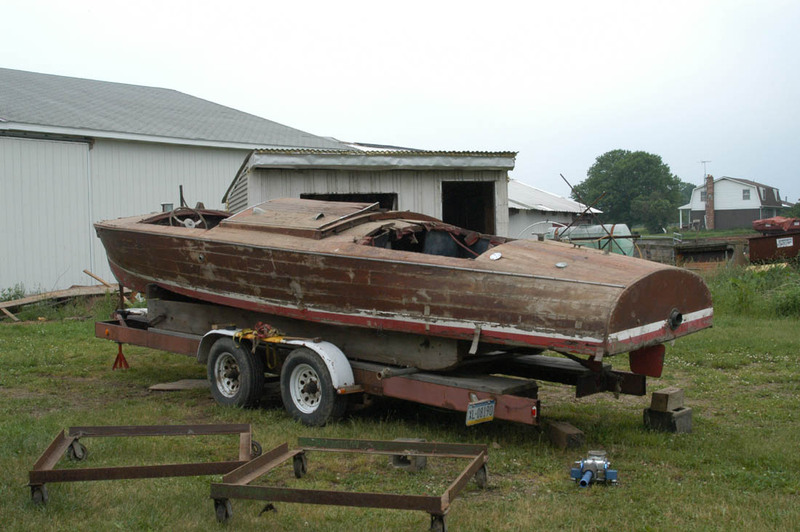 This boat is believed to have been built as a race boat. 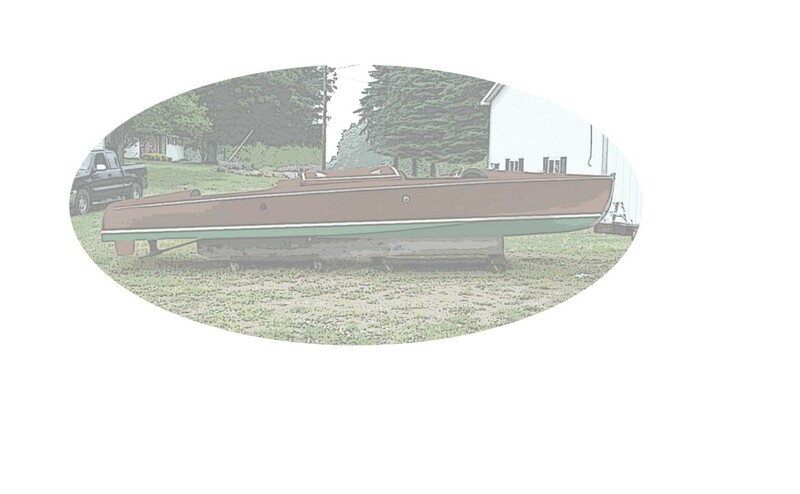 It is the only know Indian Lakes hull to have this exact shape. (maybe one of a kind) As close as we can figure the year is around 1924- 1925. 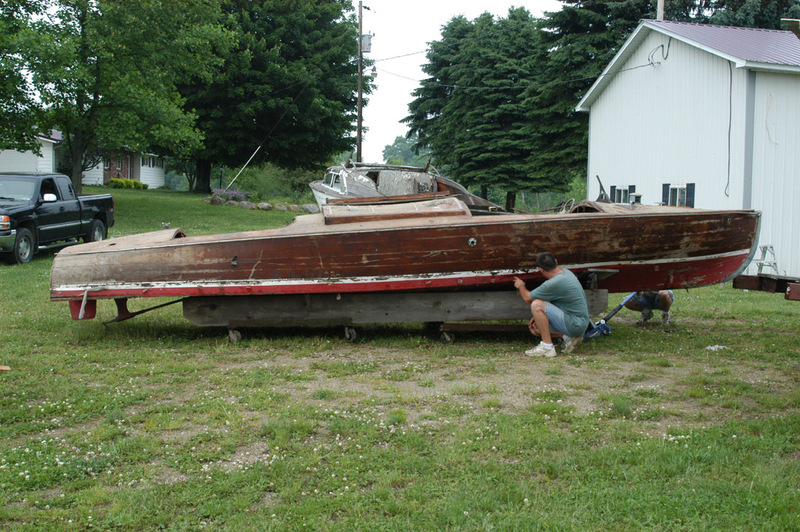 The boat was used on Conneaut Lake in North Western PA the last time it was in the water, which was 1957. 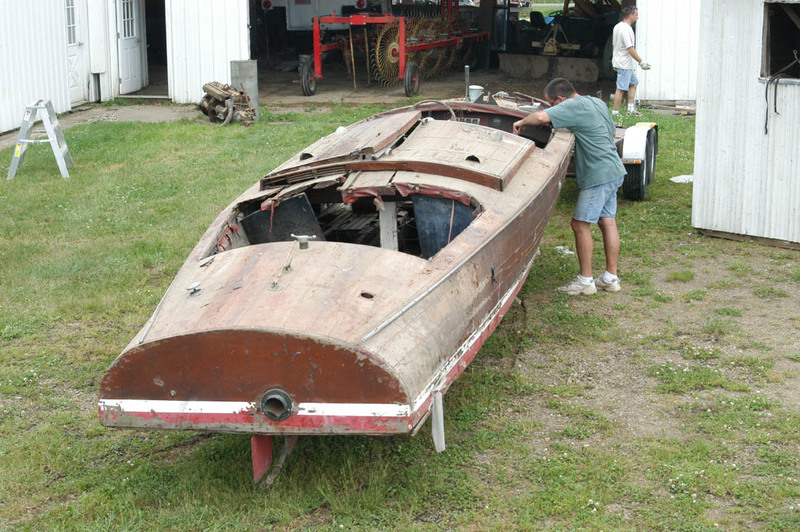 The boat was altered to enlarge the front cockpit. This made it a triple cockpit boat but the area was very tight. 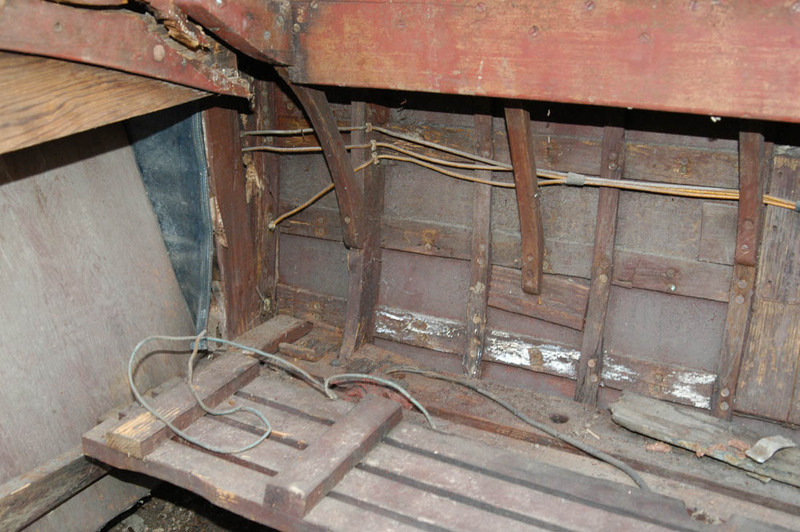 From investigation this is what the boat looked like before altering the cockpit. It has been determined that the original engine was a Liberty V-12. I believe with a capitol transmission. Signs of the original side exhaust from the Liberty V-12. Also note the unique construction. This construction technique full main frames with bent ribs intermediate frames is very unusual. It is seen in an Indian Lakes ad from the 1920s. 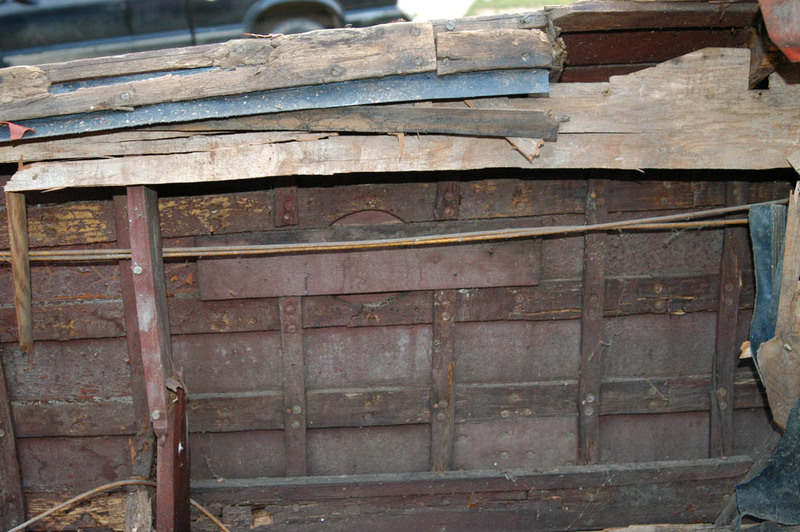 This along with the bow cap, and the star rivets confirm the builder to be The Indian Lake Boat Co. 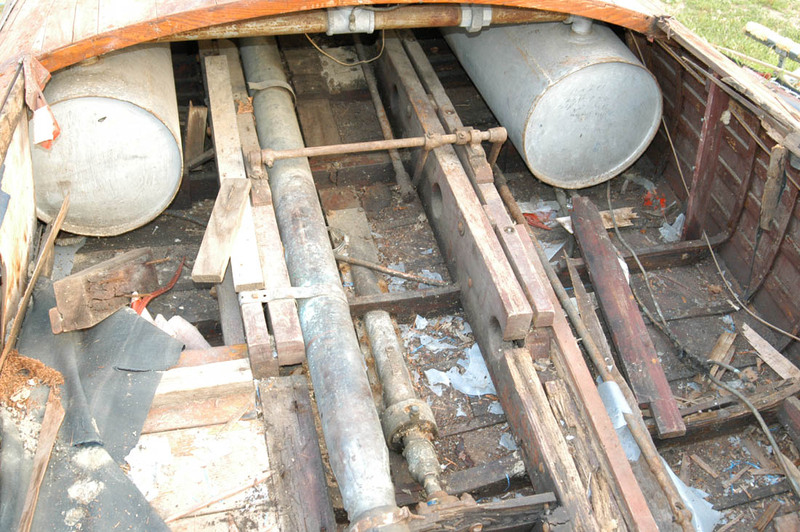 There was a question about the barrel stern but it appears this boat to have been a One off boat built by Indian Lakes. 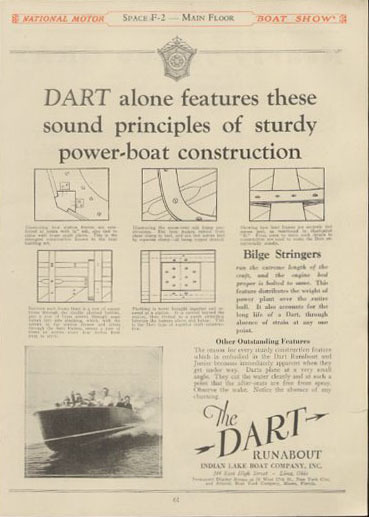 An Indian Lake --Dart-- ad from the 1920s showing the same construction technique as used in this boat. 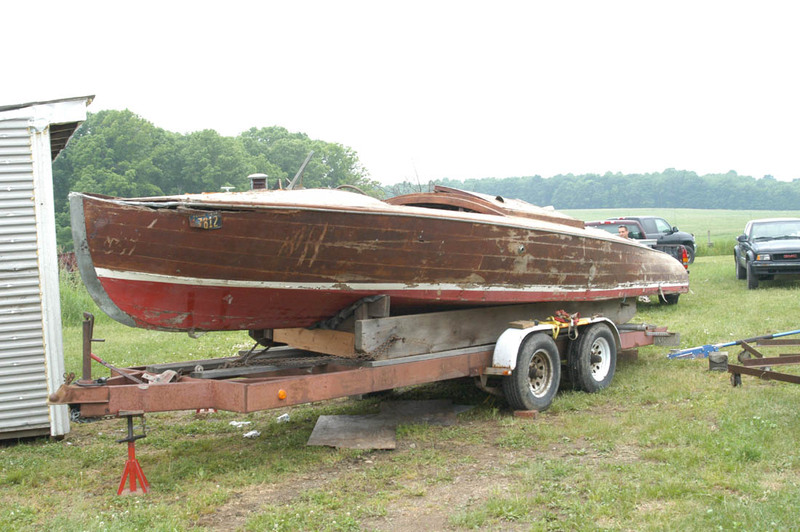 Along with all of the other clues it appears to be an Indian Lake Boat Co Boat. Weight reduction is important in race boats The engine stringers have a number of holes cut into them for weight reduction. Other normal Indian Lakes Boats do not have this feature. Some more weight recuction was the minimual number of side full frames. Three ight weight intermediate ribs are located between each full frame. 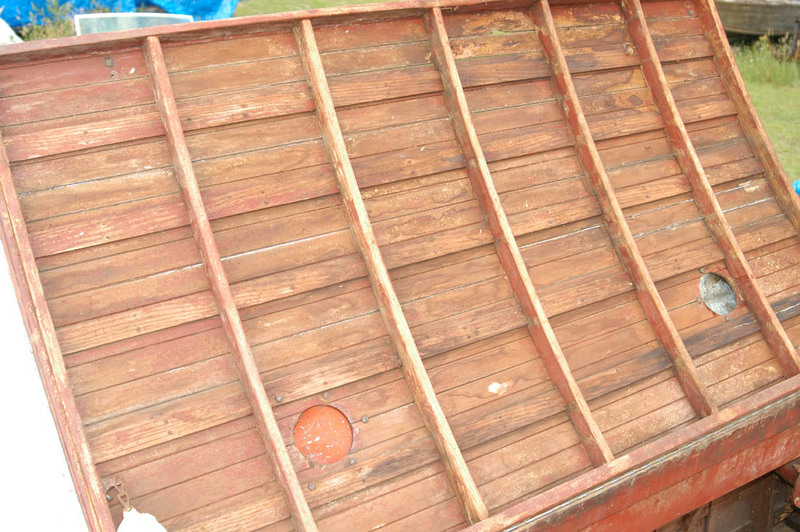 The deck battens are very thin as well as the decking, also done for weight reduction for racing. 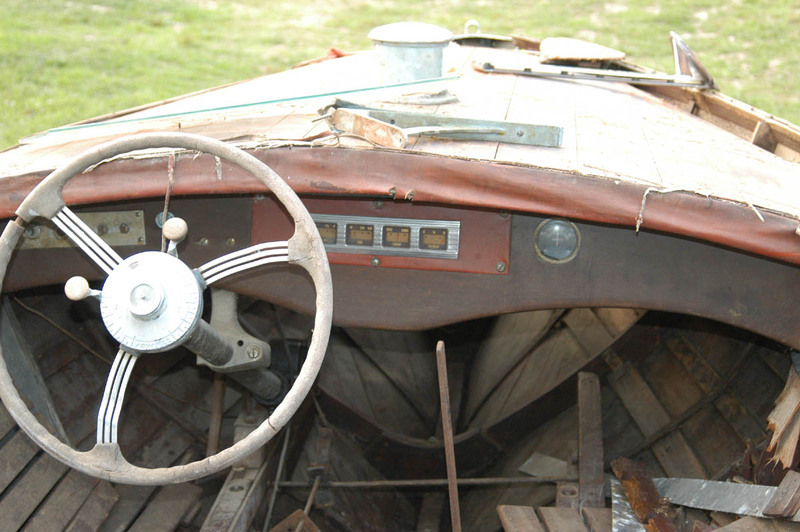 The original dashboard was moved ahead to enlarge the front cockpit into two cockpits. 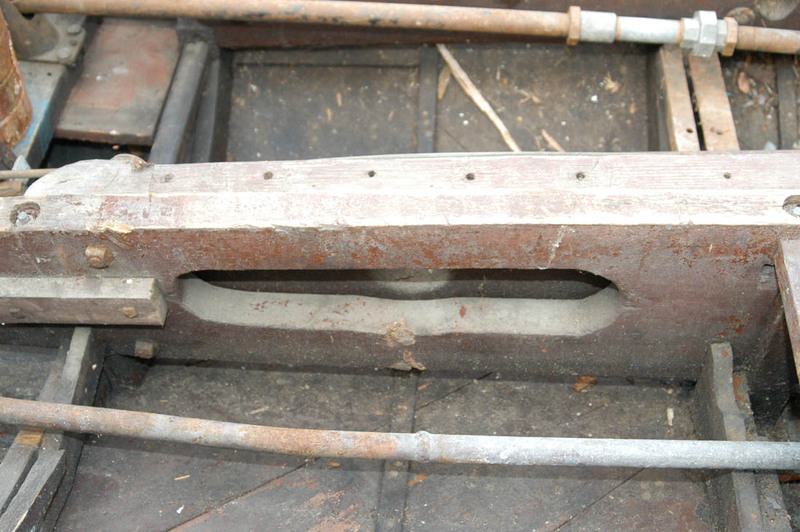 We believe this is the original steering column, but it appears that the steering wheel is a bit newer. but we are not sure. It is clear that the wheel was also moved ahead. The column matches columns used by Lincoln in the 1920s the wheel would have been made of wood. Markings on the underside of the fairlead. 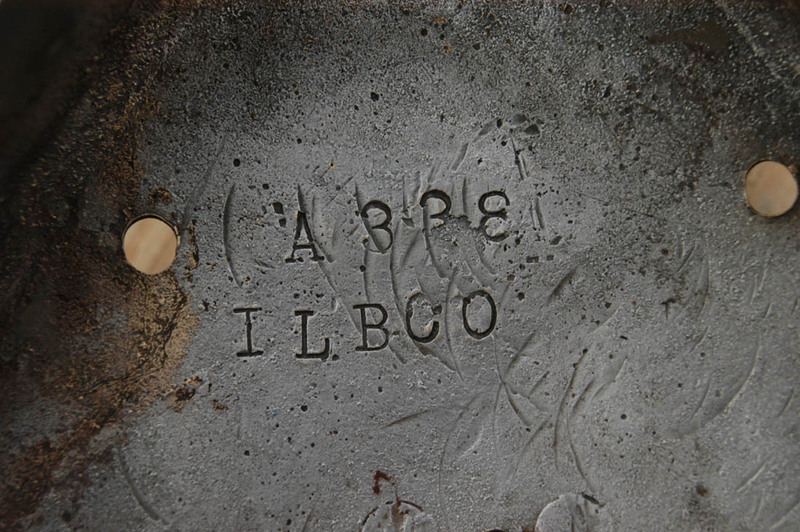 A338 and ILBCO This is the only known Indian Lakes Fairlead with a number. (maybe the hull number) If the boat was a one of a kind the hull number may have been stamped to ashure installation on the correct boat. The dual fuel tanks with a single fill. Also unique steering rod configuration.